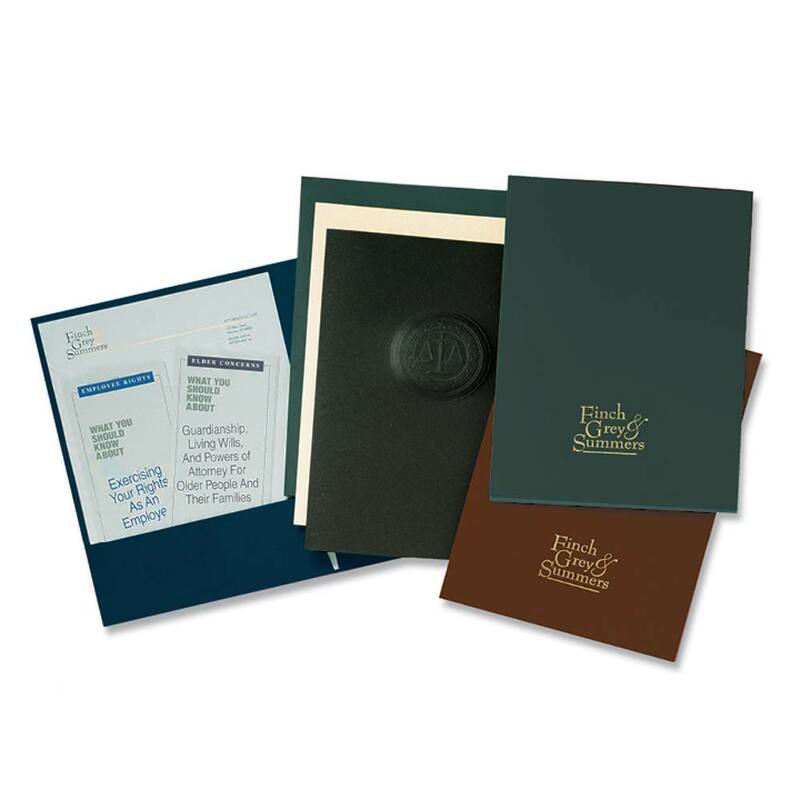 For textured linen see Litera presentation pocket folders. Colors: suffix to Cat. No. MB (midnight blue), BU (burgundy), IV (ivory), EB (eclipse black) and EG (emerald green). Ideal for real estate closings and other uses with bulky contents. Same price for style A with 2, 1/8" pocket expansion and 1/4" spine, or style B with 2, 1/4" expansion and 1/2" spine. Box pockets are glued, 4" high, with business card slots, 9" x 14 1/2" & 9 1/2" x 14 1/2". Call for prices. 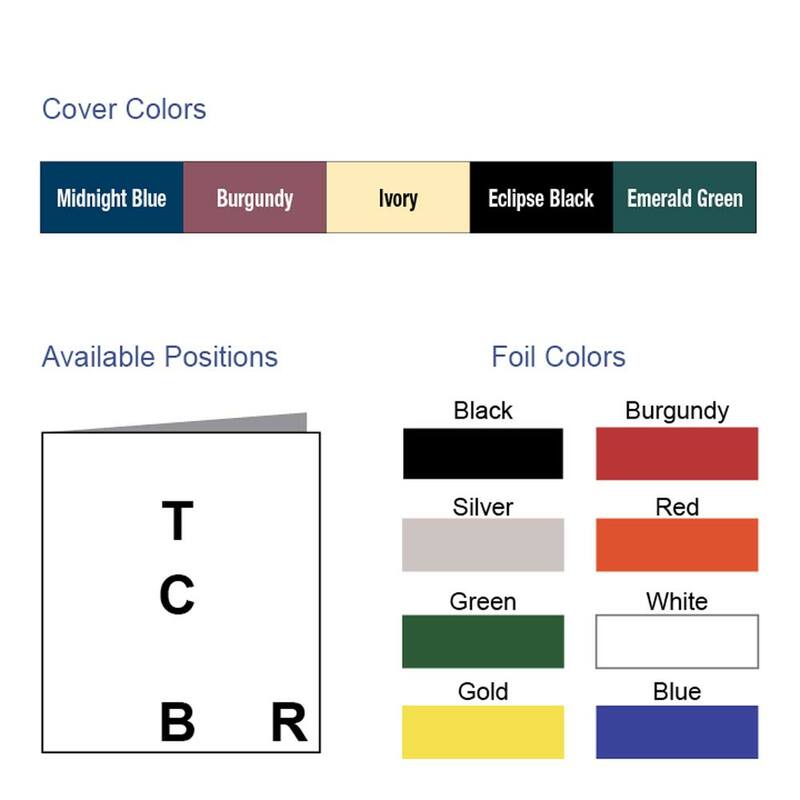 Specify size, color, number of pockets, expansion style (2 pockets only), copy and graphic methods. Specify stamp position T, C, B, R.Request quote for stamping in second position.